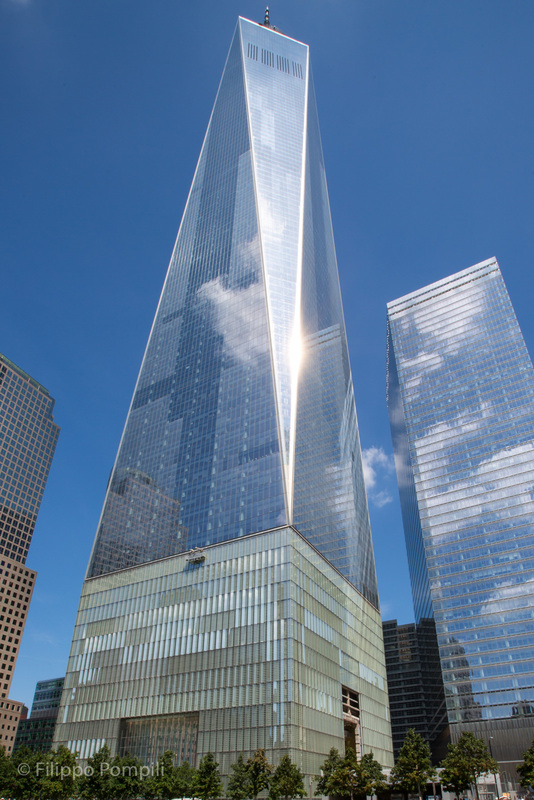 The One World Trade Center, also known as the Freedom Tower, is the country’s tallest skyscraper and was built in the area where the twin towers were built, destroyed during the terrorist attack of September 11, 2001. The structure is 1776 feet high (541 m), a symbolic number chosen to commemorate the year of the declaration of independence of the United States (July 4, 1776), for a total of 104 floors and almost 280,000 square meters of offices. In 2002, a competition was launched to choose a project for reconstruction and won by Daniel Libeskind. The architect proposed a building that included gardens on the upper floors of the building and wind turbines to produce energy from renewable sources. During the construction the project was heavily modified also due to the many requests made to ensure the safety of the structure. In fact, unlike most skyscrapers that are built with a steel or concrete structure, this is a hybrid with a strong internal concrete structure and the outer part consisting of a steel. David Childs of Som, Skidmore Owings & Merrill, was the architect who practically followed its long and troubled construction over the years. It officially began on July 4, 2004 but suffered a stop until November 18, 2006 when construction of the foundations began. In 2008 the skyscraper began to grow in height until October 2012 when it reached the maximum height of the roof, while the completion with the antenna was realized on June 30, 2013. The structure was inaugurated on November 3, 2014 with the opening of the offices of the publisher Conde Nast.